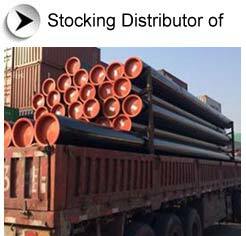 Aesteiron Steel Pipe have ready stock of JFE Line Pipe,Carbon Steel Pipe API 5L GR. B Pipe & can be supplied as UOE Pipe, High Frequency Welded (HFW) Pipe and Seamless Pipe (SMLS) varieties available in a wide size range,JFE Steel Corporation is a world leading steel making company in Japan. JFE's Carbon Steel Pipe API 5L GR. B Pipe is High strength, High Toughness, Homogeneous material and Corrosion Resistant Line Pipes for various special service such as offshore and sour services.